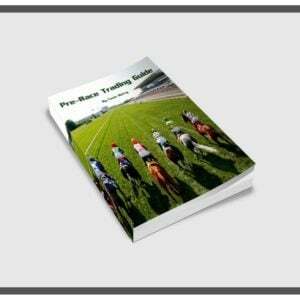 Betfair Swing Trading: Traders Holy Grail? Betfair swing trading has the most lucrative return-to-stake ratio around. It’s the sweet spot, the bomb, the one. Unsurprisingly, it’s one of the hardest to master as well. Trading on smaller stakes and taking a tick here and there regularly is enough to give most people an income they’ve dreamt of, so what if you can predict a swing? It’s of course the massive frustration that come with learning to swing trade. At times it will really test even the most patient individual, self control is a massive obstacle for many. This means that, for those who stick with it and eventually persist the payoff is well worth the wait. Prices rarely ever move in one straight line. In fact it’s quite normal for a price to bounce around and go in the wrong direction before it heads off in its true direction. Unfortunately that doesn’t sit well with us as human beings. Being sat in a swing trade while it bounces against you isn’t a great feeling at all. Overcoming that urge to close out at too soon is an art in itself. It’s not all doom and gloom though, having a good understanding of the markets can counteract this overwhelming sensation to shoot yourself in the foot! Screenshot at the top of this post shows a swing trade I caught at Ripon this week (June 2011). A decent move, I had to sit on my hands towards the end! I remember this trade vividly. Right now, because it’s a fair result for me on average. But mainly because I was burning to get out of the trade for an age, it seemed like an hour although was probably just a minute. I hadn’t used a huge stake either, looking back, maybe I should have. In the end I got out and it continued to shorten, which is just typical. But I think my actions were right thing at that point in time. A little “market noise” scared me into thinking I’d loose a chunk of ticks which prompted exit. In highn sight, that’s the very reason that catches out others that aren’t as far down the path as me just yet. The main entry and exit I’ve underlined in green. You’ll see at times there’s a little scaling in and out with the odd cheeky scalp too. These were based around how I felt with the price action at that point in time. One thing’s quite obvious though; for a £150 initial stake and ten minutes of trading it brought a £40.26 return. Where else do you get a return on money like that? By now your probably burning to know what gave me the confidence to wait?! First off, I’d had a look at the market for a minute or so. Bookies odds checked just to see if there was any stand out moves. A couple of prices in the market looked pretty weak, as they drifted this runner had closed but only slightly. Bookies odds were a little shorter than Betfair, nothing unusual. I thought on it a little and watched money entering the market, doing nothing. Initially I entered for half my stake, it didn’t really look like a move was imminent. But then a little flurry of cash appeared, the market started to ‘form’ and so I went in for another £75 catching the last few quid at that price. Almost instantly I was a tick or 2 in hand. I was thinking of taking part of my position out to move my green/red crossover. If it had it not moved a little more I may have been tempted, it was still that stage of market development where things weren’t clear. The biggest hurdle was my mind. Seeing and perceiving what was happening, while believing in it without feeling attached to the outcome. Or loosing out if it didn’t quite go as expected. You can see from the Betfair graph there was a few quid for that one as it didn’t really drift back out! The nature of Betfair swing trading makes things difficult in itself. You must resist the urge of exiting a good position in order to see what happens next! After all the market can do anything, whenever it wants. There are so many variables that affect each situation making it unique and different (particularly in horse racing), even the best traders don’t know what’s going to happen next. But by being open-minded enough, its part of their advantage. By letting profits run when they’re in a good position. And exiting when there’s a chance they could be wrong! Far easier said than done of course. Getting started isn’t as overwhelming as it may seem. Swing trading isn’t something you’re likely to crack over-night. 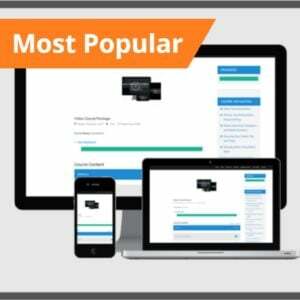 The biggest thing to remember is you need the knowledge to understand what drives market moves. Some things more than others. Also, accept there isn’t a great swing opportunity in every race and there never will be. The best advice I can give you is to start small, be patient and do some research. 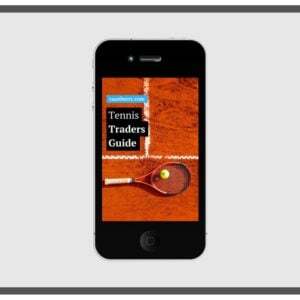 Learn about the markets, how they move, why and then start to practice in training mode. Here’s a short clip I put together some time ago showing my screen. I appreciate it doesn’t give away a huge amount but then it’s free! I cover pretty much everything I set out to in this Betfair swing trading clip on YouTube. The main aims were to show it’s not impossible to make a fair return off a small stake. Each day there is usually at least one good chance of a move. It may not always be the case there are loads, sometimes there are but it’s a bit like that saying about busses – you might have to wait for ages one time where as another they all come at once! Probably one of the most fitting phrases to describe Betfair swing trading. It’s hard to say when all the best opportunities will come, or when to enter and exit. It’s not always possible to get the very best points as I say somewhere in my rambling. If you can find a move like this each and every day for just a small stake it wont take long to build up the bank. Betfair swing trading is the most difficult approach to master in my opinion, although as with everything in life the best results often come from the discipline that is the most difficult, otherwise everyone would be doing it! That said, finding one or two opportunities a day shouldn’t be too hard if you look enough. Swing trading is a long-term approach. Keeping that in mind might make things a little easier…. Good luck! ⟵Power Struggles In May  Eek! The main thing that I noticed about this trade is that you have a purple header…………. purple, c’mon Chuck, what’s that all about?! Seriously though, that looked like a nice trade to be on the right side of, I never expect to get in and out of the extremities of a price, it would be nice though [LOL]!![/LOL]. 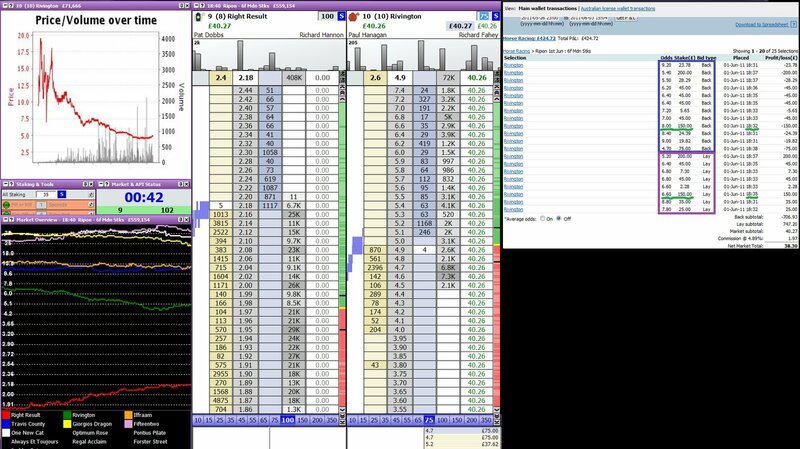 Haha Betfair swing trading is a fine art… the header doesn’t matter so much. Point taken though, its changed these days. A good read this blog. Hi Caan could you also include when you should exit if your wrong in swing trading?